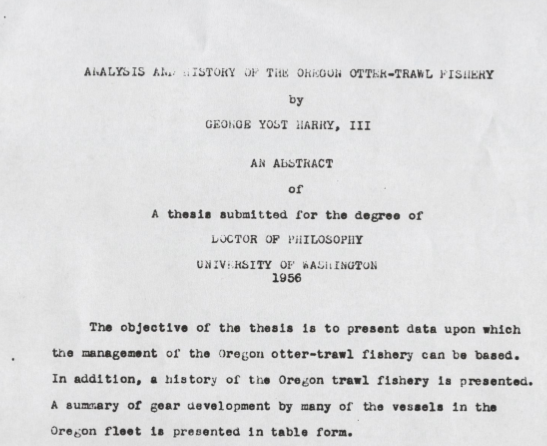 If you’re interested in marine fisheries off Oregon, you read George Yost Harry’s 1956 thesis. 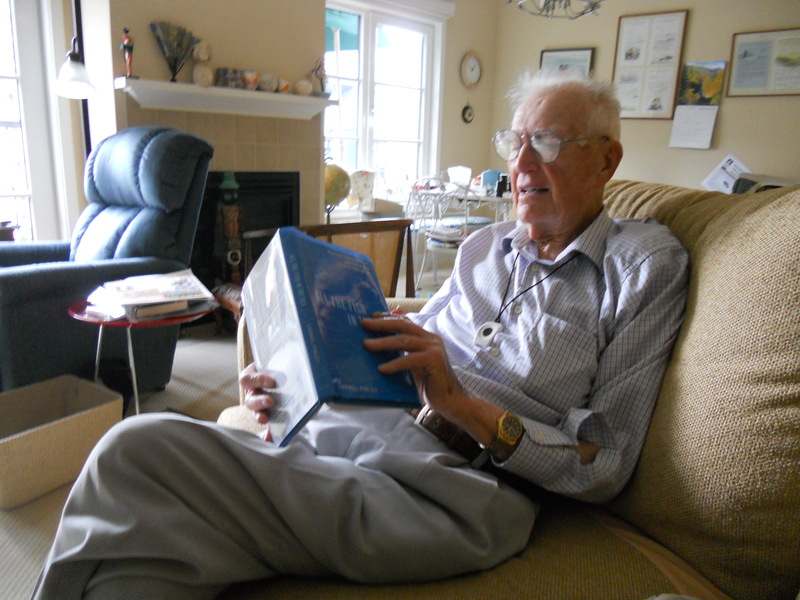 Dr. Harry with my book, a bit of shameless self-promotion, September, 2012. I finally got to meet Dr. Harry when I was in Seattle last September. But I really think I’ve known him for a lot longer, because I’ve been aware of his work for a long time. He’s one of my foundation stones, just like Jergen Westrheim, who I have written about in previous posts. George hired him as his first assistant in 1948 and put him to work in Astoria, sampling the catch trawlers were landing. Thumbing through the early research briefs is a lesson in Oregon natural resource history. The first issue has a paper on determining the Vitamin A content of hake livers. It was just after the war and scientists had not yet synthesized vitamins. 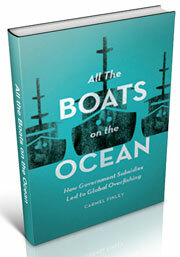 Oregon fishermen caught sharks for their livers during the war; the fishery paid big money. Jergen’s first paper, “The 1949 Soupfin Shark Fishery of Oregon,” by Sigurd J. Westrheim, appeared in Volume Three, Issue One, in September of 1950. 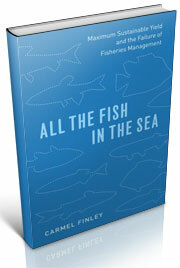 Dr. Harry’s first article comes in Volume One, Issue 2, about Oregon’s pilchard fishery. Two years later, he published a paper on exploratory cruises for pink shrimp. Other papers detail the hopeful results of experiments to find a diet that would keep hatchery salmon smolts healthy. That diet would become the Oregon Moist Pellet. The job of being a state biologist was expanding into new fields, like studying the impact of pulp mill effluent on Willamette salmon. Dr. Harry was born in Portland in 1919. He was graduated from Oregon State with a bachelor Science in Fish and Game Management in 1940 and a master of Science in zoology from the University of Michigan in 1941. He was an officer in the U.S. Navy during the war, then began graduate school at the School of Fisheries at the University of Washington in 1945. He went to work for the Fish Commission of Oregon in 1947 and rose to be Director of Research in 1957, after his thesis was published. 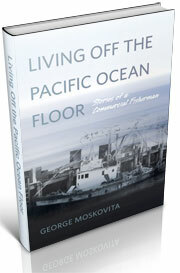 Captain George Moskovita, Living off the Pacific Ocean Floor, 2000, p.37. This entry was posted in California sardines, Carmel Finley, Environmental History, fisheries science, Fishing, George Moskovita, History of Science, History of Technology, Ocean fishing, Oregon pilchards, Pacific Fishing History Project and tagged Donald L. McKernan, Fishing, Jergen Westrheim, Oregon, Oregon State University. Bookmark the permalink.